What impact does GEN have on our community? In 2016, we launched a systematic process to evaluate the Global Environment Network’s impact and our global relevance. 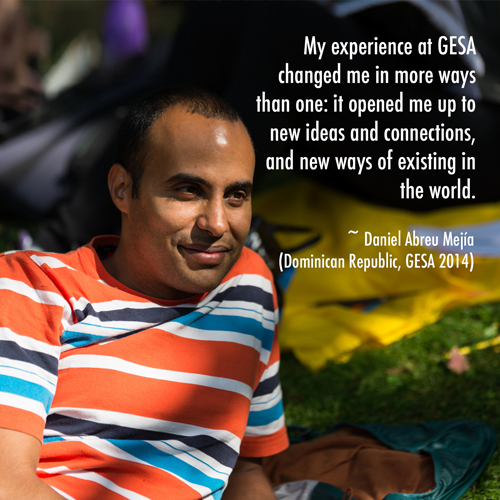 As part of this ongoing process, we are asking how our GEN events impact those who participate in them. What do the participants carry home with them? How do they see their GEN experience influencing their careers and lives in the future? What has the experience already changed in their life? Watch these series to hear the answers directly from our Network members. “Be prepared to have your heart exploded! 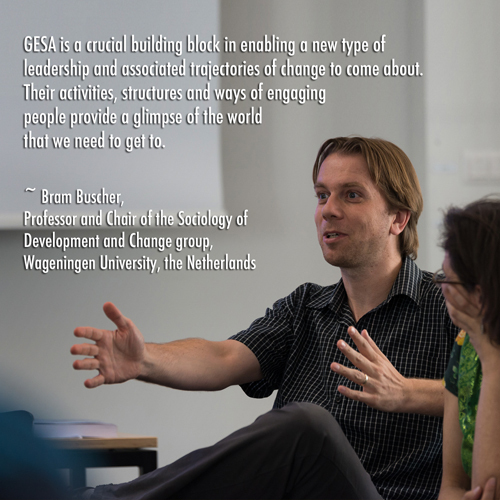 … from stories…connections…finding brotherhood and sisterhood with people, and falling in love platonically….” ~ Sunshine Best, from U.S.A., attended the Global Environments Summer Academy (GESA) 2018. “I’ve really been able to think about how I am going to go into communities after my study programme and do work that is meaningful to them, starting with them, and asking them “What’s important to you?”. 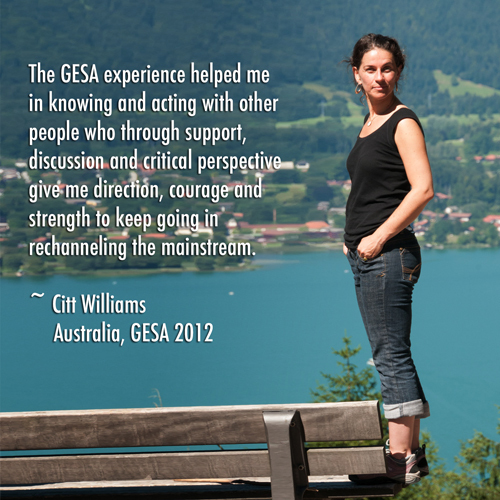 ~ Rickie Cleere, from U.S.A., attended GESA 2018. Hajar speaks about adapting gender approaches—one of the topics discussed during the first GEN regional academy held in the Mediterranean— in carrying out workshops with local communities: “if there is a conservative community, we should separate the women and men so that women can have the opportunity to have voices”, she says. 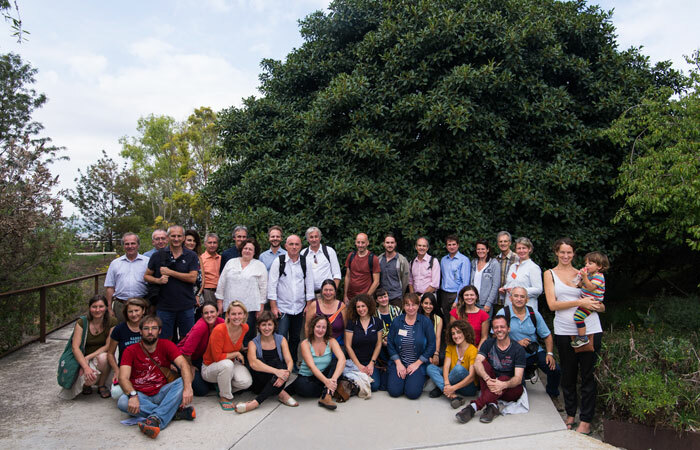 ~ Hajar Salamat attended the Mediterranean Environments Regional Academy in Morocco in 2018. 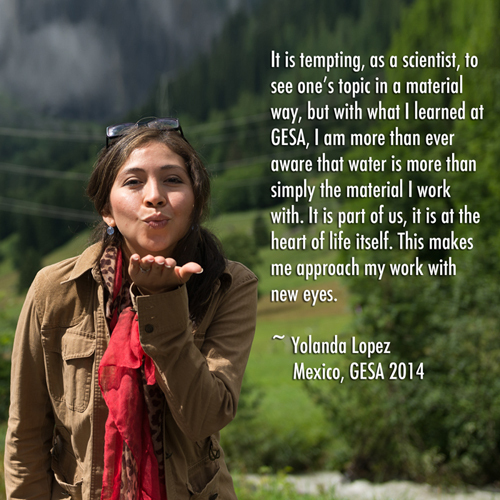 Dr. Sarah-Lan Mathez has been involved with Global Environments Network events for some years. During the first Mediterranean Environments Regional Academy, which took place in November, 2018, in Morocco, Sarah-Lan brought in the discussion on gender in agricultural research and practice, and thus she facilitated stimulating discussions among the participants. To see the full list of videos, click on the upper left corner above, or open the playlist in YouTube. As the Global Environments Network continues to grow and expand in new areas, there is need for a more comprehensive and systematised impact reporting and evaluation process to ensure our programmes are achieving their planned goals and expected impact, whilst providing a feedback mechanism to adjust our targets, process and methods, as required. Watch this space for information on our new GEN Impact Strategy! 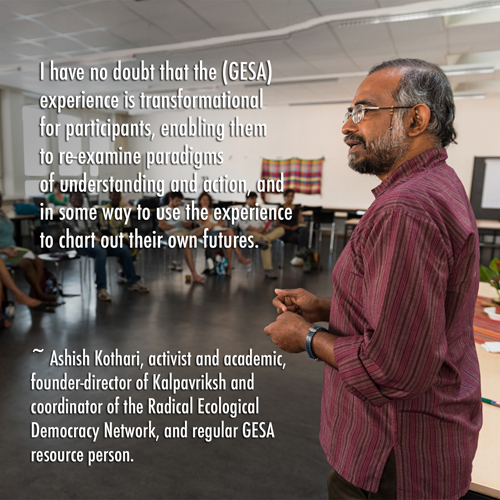 GEN facilitates connections, exchange and collaborations among event participants and resource people, building durable partnerships that guarantee the sustainability of the network and impacts at multiple scales. 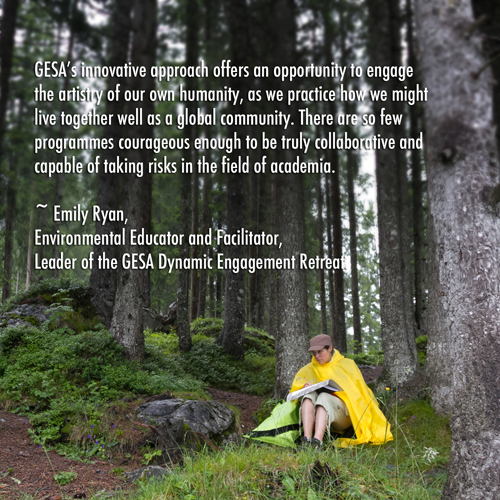 Ideas borne from intense discussions held at GEN events have led to successful collaborations, some of which have been funded by the GEN Alumni Innovation Fund. 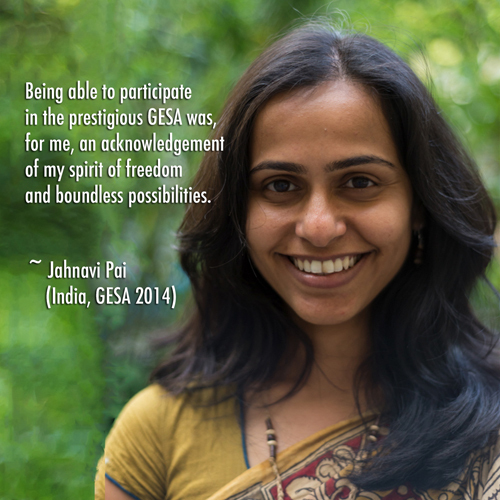 Members of the GEN community have also seized opportunities to engage in other settings, such as conferences and ad hoc meetings, strengthening bonds while creating spaces for intellectual debate. 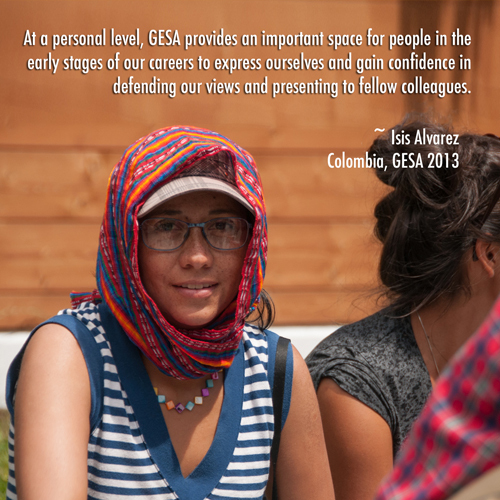 GESA alumni were core coordinators of GEN’s first European Community Exchange in Barcelona.